Human Microbiome Project | BLH Technologies, Inc.
Did you know that humans are made up mostly of microbes? In fact, we have more than 100 trillion of them. I was surprised to learn that each person has 10 times more microbes than human cells. Most microbes live in our digestive system, particularly the large intestine. Perhaps you’ve heard about the Human Microbiome Project. This massive project is examining the microbiome, the genetic material of all the microbes (which include bacteria, fungi, protozoa, and viruses) that live on and inside the human body. The project encompasses five Federal agencies and is doing comprehensive research on microbial communities that live in and on our bodies and the roles they play in human health and disease. While the notion of so many microbes in our bodies may be shocking, remember that they serve an important function. Bacteria in the microbiome help digest our food, regulate our immune system, protect against disease, and produce necessary vitamins. When the microbiome isn’t functioning properly, autoimmune disorders including diabetes, rheumatoid arthritis, muscular dystrophy, multiple sclerosis, and fibromyalgia can occur. Scientists have found that these kinds of diseases appear to be passed along in families because of the inherited family microbiome, not DNA. Another important factor relating to the microbiome is antibiotic resistance, a growing international crisis. The overuse of antibiotics has given rise to harmful bacteria that can’t be eliminated by any available antibiotic. This is bad news for people who become infected with such “superbugs.” The microbiome project includes research relating to antibiotic resistance. BLH has particular expertise in antibiotic resistance. Our team works hard on issues related to this global health problem—healthcare-associated infections and antibiotic stewardship programs, to name two. 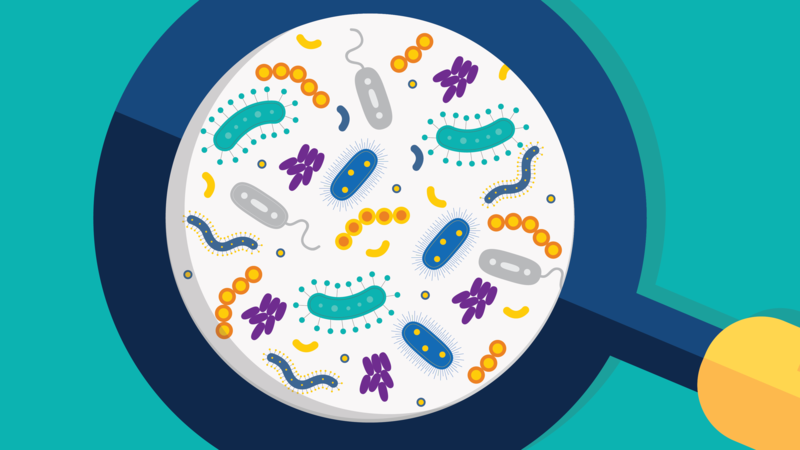 The National Institutes of Health has more information about how the microbiome project is working to understand and improve human health.